The next major (global) event in our industry is set down for early November in San Jose (the capital of the worlds tech playground – Silicon Valley) where thousands of ABC’s (Accountants | Bookkeepers | Consultants) along with Small Business Owners and Operators will be attending the Intuit (QuickBooks) flagship event – QBConnect. 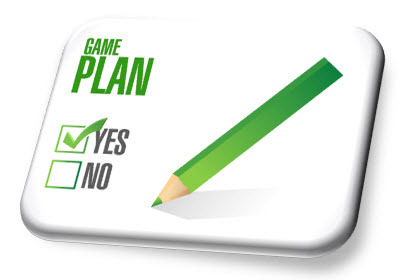 So what are the 3 Simple steps we can take in order to “Set our Game Plan” and dramatically boost our ROI on attending QBConnect ? If you have registered to attend QBConnect then you would have already received an invitation to build you conference agenda. Take some time to review the details of each session on the agenda and commit to sessions that you believe is what you need to help you move to the next level in your professional and business journey. Be sure to lock in ALL Keynote, Opening and Closing address sessions and I would also highly recommend the session (Tuesday 3 November at 3pm) with Intuit founder Scott Cook and Lean Startup Author Eric Ries as a must see. At each session work on identifying 1 key action point that you can take home and implement, also if the opportunity arises ask questions and of course arrive early and stay late if time permits (you often receive that “Zinger” by listening in on conversions with the presenter beside the stage after the session). Also be sure to download and use the QBConnect App, this will help you stay organised and focused throughout the event. Take time to carefully review the list of sponsors exhibiting at the event and identify key vendors that you wish to connect with during the event. Familiarise yourself with the Exhibit Hall layout and identify the order in which you are going to approach those key vendors you wish to establish a partnership with. Often the Founders and CEO’s of the vendors attend these events and this is a golden opportunity to discover the real back story as to why the business was established and understanding the need it fills and how you can partner with them to introduce the solution to your client base. Businesses and their Advisors alike have been in a discovery phase of identifying business processes that can be “Appified” and integrated into the Accounting Engine in order to streamline efficiency and enhance business performance. Whilst this “discovery phase” will continue to be ongoing I believe it is now time to settle on solutions that comprise the core of your business solutions toolkit – the perfect opportunity to do this is at events like QBConnect. Large scale events such as QBConnect often bring together the Industry Thought Leaders and like-minded peers from around the country (and the world); you just never know who you may be sitting next to. So take this opportunity so say hello or as us Aussies say – G’day J. I have found that ABC’s the world over are very generous of their ideas, experiences and time when it comes to sharing with their peers, particularly in the inspiring and thought provoking environment of a conference. It’s just up to you to simply start the conversation …………. Whilst there will be thousands attending QBConnect, there will be many more thousands watching the event unfold from afar, eager to hear about the insights and inspiration that you have gleaned from the event, so be sure to share your experience. One of the best ways to do this is via Social Media during the event (Twitter / Facebook / Instagram and if you are under 20 no doubt Snapchat will all get a run) be sure to use #QBConnect in your posts and reference the source of your information wherever you can. Take pictures whilst at the event and if you get the chance don’t be afraid to ask your favourite presenters to pose for a “Selfie” with you, I know I will be taking any opportunity to get a pic with some of my heroes in the Accounting | Bookkeeping | Technology professions. Next post3 Simple Steps to Dramatically boost the Return On Your Investment attending SleeterCon this year!